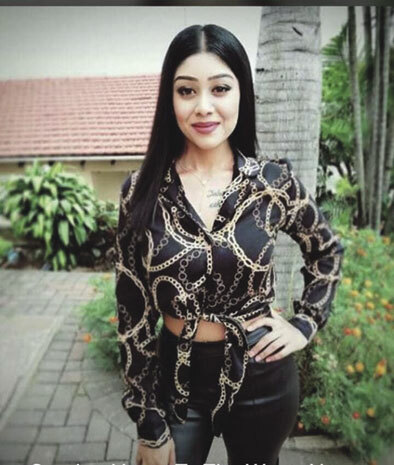 The Shallcross community was left in shock after the lifeless body of 23-year-old Demisha Naik was found by her distraught father in her flat last Tuesday. Naik who was described as a bubbly friendly person was allegedly stabbed and beaten to death. She was pronounced dead on the scene by paramedics. Family, friends and mourners paid their last respects to Naik at her funeral on Thursday. Siven Subramodey from Amawele Emergency Services said they were called on to the scene by members of the public. “Upon arrival, the female was declared dead. It seems she succumbed to her injuries and I called the station commander and informed him of what happened. A close friend of hers, Darren Loganathan, who was still in shock following her murder said: “When I think about the kind of person Demisha was, my heart swells with pain. She was taken from us way too soon by such a heinous deed. I have known Demisha since we were in primary school and we have been close friends since then. Neighbours said that they were unaware of what happened until paramedics and police arrived on the scene. “It is unbelievable, we had no clue of such a heinous act. We received news that a girl was murdered. It is truly heart-breaking that society is no longer safe for our women,” added a close family friend.